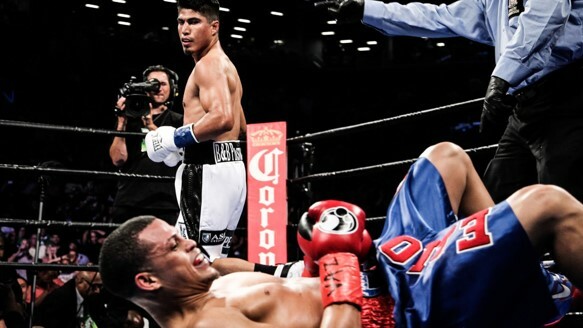 American welterweight Errol “The Truth” Spence Jr. has all the right moves. Saturday night, at The Ford Center at The Star, in Frisco, Texas, Spence needed less than a round to sickle Carlos “Chema” Ocampo in two. A left to the belly and right hook to the body took Ocampo’s breath and emptied the lungs of the 14,000 people in the arena to see their native son incarnate his reputation. And while the matchmaking, forgettable, uninspiring, all-too-typical of a homecoming showcase or risible mandatory defense (and Ocampo represented both), was disappointing, Spence was not. Because that is what you do to an undeserving opponent you openly admit you would rather not have to fight: swiftly and spectacularly shatter him. We first saw Spence, 24-0 (21), in 2015, on the undercard of one of Adonis Stevenson’s own deplorable title defenses. Spence’s opponent that night, Chris Van Heerden, landed enough to make one lament his lack of power and wonder what penalty Spence might eventually pay for his tendency to chase punches with his guard down and eat counters. Van Heerden, meanwhile, was stopped in eight rounds. 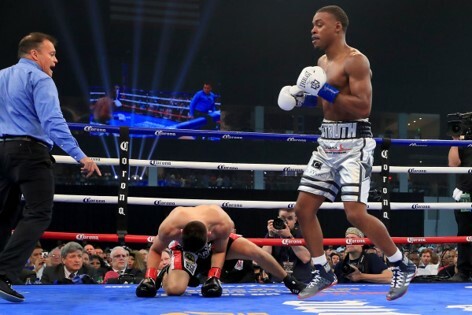 What was most striking about Spence that night, and what remains—with apologies to perhaps the finest body attack in boxing—most curious about him, is how calm he is, especially for a pressure fighter. Spence has ample power and he throws hard but he’s thoughtful, not murderous, a demolition expert who prefers strategic explosives to the wrecking ball. And even when he is tagged hard and clean (a feather wedged in many a Spence opponent’s cap) it hardly registers. Why? 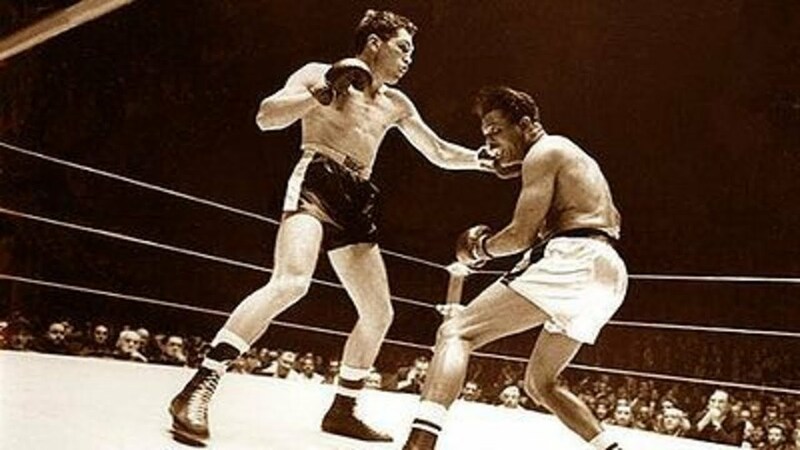 Not because Spence is especially iron-chinned, and probably not because he (no evidence to the contrary) expects the calculus of give-and-take to inevitably swing in his favor (Spence being too good a boxer to court simple attrition). No, his bearing is born of self-awareness. Spence is a pressure fighter, and that style, like all styles, comes at a price. He knows this, accepts it, and thus, that price does not ruffle him. Befitting his demeanor, Spence has steadily, earnestly laid claim to the welterweight division. That is a paradoxical thing to say considering who he hasn’t fought, and yet it is hard to deny. First, there were the gym stories: the black eye he gave Floyd Mayweather Jr., the knockdown of Adrien Broner; these events and aficionados’ percolating ennui toward the rest of the field were grist enough to build Spence’s mystique. And then the arena exploits caught up. Leonard Bundu, who went the distance with masquerading knockout artist Keith Thurman, looked like he was in traction after Spence corkscrewed him through the ropes. Jitterbugging Chris Algieri, who survived five knockdowns against Manny Pacquiao in a decision loss? Spence slumped him in five rounds. His title-winning knockout of Kell Brook? Spence traveled to Sheffield, England, to deliver it. And when the gloves were off, Spence morphed into an endearing blend of country charm and fighterly menace; “Aw shucks” and eye contact. All the right moves, remember? These feats do not a kingpin make, mind you, but then welterweight is a bit of a tricky case. Absent of promotional and network obstacles the best fighters still rarely fight each other—a reality that seems to just as rarely bother them. Thurman, who with wins over Shawn Porter and Danny Garcia is the most decorated welterweight in Al Haymon’s fiefdom, has two fights in the last three years. That inaction is compounded by Mayweather’s retirement: he left a substantial void that little has been done to fill and took with him the scalp that would have made an overnight celebrity of the fighter who snatched it. In a division where you cannot take the crown (because it’s busy boxing a mixed martial artist for a nine-figure purse and shampionship bragging rights, or, in the case of Manny Pacquiao, losing hometown decisions in Australia) it is on the fighter to take our collective consciousness. Spence has done that in becoming the fighter his stablemates, like so many school kids rerouting their trips home to avoid the bully up the block, make excuses to avoid. Except Spence isn’t a bully—he is simply acting like a fighter and thereby serving as the medium for a rather scathing refraction. He has caught some surprising eyes in the process. Jerry Jones, the Dallas Cowboys owner who understands how to spend in the name of a spectacle, somehow found his way into the ring Saturday night. If Jones wants to get involved with Spence it may be because he sees an attraction, and while it is wise to be suspicious of Jones’s involvement, and especially of how Haymon will use it given the product he delivered while double-dipping from his Waddell & Reed bankroll, the one fighter in Haymon’s stable worth going all-in on is Spence: a fighter with soul beyond the ring and substance within it. All the right moves. Well, maybe not all. Spence has made clear his intent to unify the division and mentioned the winner of the Shawn Porter-Danny Garcia fight as a possible opponent. If it is not only titles Spence wants but glory, however, the man to face is one who is also undefeated, one who looked unbeatable in winning a welterweight title last week; a man who, like Spence himself, will not be derailed by any other challenger (so please, spare us the buildup), one who believes the truth is actually from Omaha. If it is not only titles that Spence wants but glory—he should want them now. The right move? The right move would be to demand Terence Crawford. And to accept no substitute.